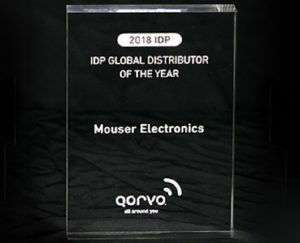 Mouser Electronics, Inc. has been named Global Distributor of the Year by Qorvo, a leading provider of innovative RF solutions that connect the world. 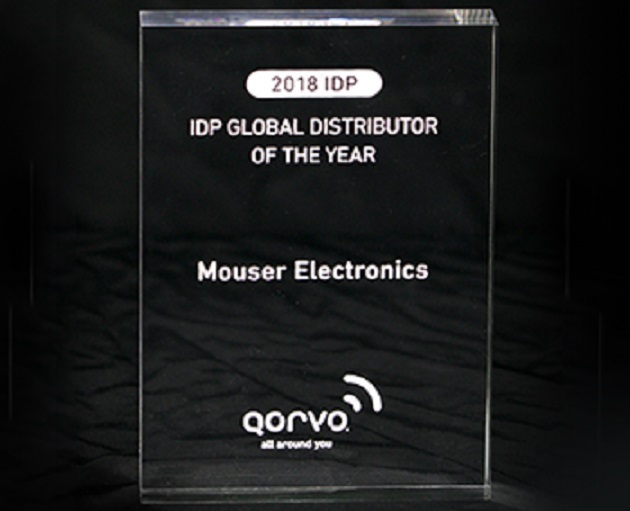 The 2018 sales award recognizes Mouser’s contributions in support of Qorvo’s Infrastructure and Defense Products (IDP) business over the past year, which far exceeded expectations. The award was announced at Qorvo’s 2018 IDP Sales Conference, held recently in San Antonio, Tex. To learn more about Qorvo products available at Mouser Electronics, visit mouser.com/qorvo.